LUISS ENLABS | 5000 sq.m. of innovation for our new headquarter! 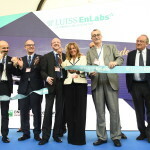 On July 8th we inaugurated LUISS ENLABS and LVenture Group’s new headquarter, 5000 sq.m. of innovation which will accommodate up to 80 startups making LUISS ENLABS the biggest startup Accelerator in Europe. The headquarter it’s a great open space on two floors, high white walls and bright, and long corridors to even go on a Segway. Here growing startups and innovative companies already active on the market, will be able to develop their business in a location twice as large compared to the previous year, with the possibility to welcome even more ideas and entrepreneurial projects with high technological content. The new spaces will allow us to continue the significant growth trend that has sustained over the last few years and to realize ambitious expansion plans for the future. We aim to become a tech hub reference and encourage the meeting and contamination between the neo-entrepreneurial activities, corporate and all the actors of the world of innovation. “We have created a hub for innovation because we believe in its value, and the results we are getting give confirmations. This is not a goal but a starting point. In these new spaces we can continue to grow, giving rise to more and more startups and putting them in contact with both investors with companies that today need to access the Open Innovation" explains Luigi Capello, Co-Founder of LUISS ENLABS. "9 out of 10 startups outputs from the acceleration program receive investments from third parties. This means a more than 90% success rate that has earned us international visibility. In late June we held an Investor Day in Berlin which was attended by representatives of some of the largest operators of venture capital on the European scene, an important step in the internationalization, which is crucial for us to grow up richer markets capital startups born in Italy ". 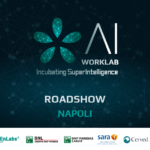 As emphasized in the President of the LUISS Emma Marcegaglia: "The inauguration of the new accelerator is once again, a terrific response of a model that works. Our University continues strongly affirming its vocation of university-oriented innovation and towards self, with an increasingly international and careful vision to invest in human capital formation: real driver of growth of the country. In just three years - says the President Marcegaglia - the ecosystem created around LUISS ENLABS came to understand about 40 startups, which have created more than 500 jobs, attracted € 20 million from outside investors, established an advisory board of over 50 high-profile experts and a network of corporate, institutions and companies that support the development of the best business ideas. In 2017, we will open in Milan an extension of LUISS: the Mhuma, a laboratory dedicated to manufacturing 4.0. " 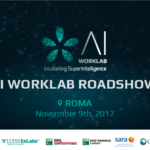 LUISS ENLABS is a candidate to become a privileged and ecosystem hub interlocutor of the undertakings concerned to grow the market both Roman and international, including through processes Open Innovation and business strategies 4.0. The startups, in fact, are able to provide high-tech services and create innovative solutions inspired also by international best practices. 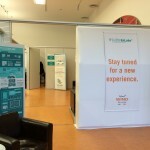 Among the great protagonists of the new accelerator stand out our partners Wind, BNL and Accenture.